Make some coffee (or tea), put some pop tarts in your toaster and get ready for some Sunday morning tabletop RPG talk to get your week started right. 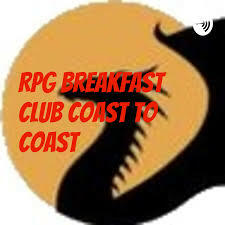 Yes, it's the RPG Breakfast Club. Mapping & Cartography: How to build up your world and go further with interaction and player/reader learning curve, Going pro (or semi-pro) and monetizing your worldbuilding in a crowded market, organizing your game world information, How do you structure your GM reference material, and whatever else strikes their fancy.